The Powerscreen® Warrior 800 has been perfectly built for the small operator who needs an easy to transport and versatile screen plant. The machine is a multi-purpose heavy duty horizontal 2 deck screen, capable of 3 way splitting, stockpiling and scalping before and after crushing units. It features a very aggressive screen that can accept woven mesh, bofor bars, punch plates and finger screens. 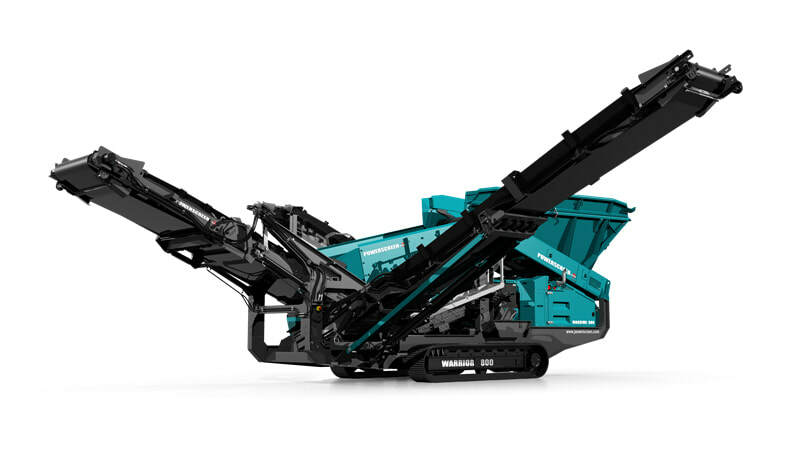 Benefits include ease of operation aided by rigid feed hopper sides, hydraulic folding tail and side conveyors, two speed tracks and quick set-up time. A simplified slide out tail conveyor facilitates easy screen changes.